Do you also have lots of Japanese transistors in your junkbox with hard-to-understand coding ? Those codes might not be so difficult to understand. You might be richer than you think and this article can help you finding a useful application for those forgotten semi conductors. The serial number is in the range 10 till 9999. The optional suffix indicates that the semi conductor has been approved by various Japanese authorities. 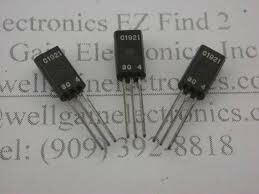 Note: Since most common transistors have a code starting with 2S, this part is often omitted; A 2SC733 can be found as C733. Here I discovered I owned some transistors from Hitachi designed for hi voltage video circuit applications.